Soft insulation wooden fibreboards that wear ISOPLAAT trademark are multifunctional and natural construction and insulation materials. When building a new house or renovating an old one, you will get a warm, soundproof and breathing construction for your walls, ceiling or floor by using ISOPLAAT products in correct way. The porous structure gives the boards heat insulating and sound muting qualities. 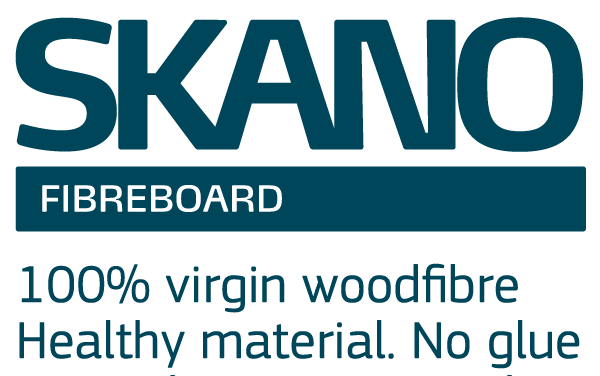 Due to specific manufacturing process the fibreboards are porous, endurable, dense and insulating; the wind barrier boards are also moisture proof. You can also increase the constructional rigidity of the building by using our construction boards. ISOPLAAT boards are breathing, which means they are able to bind the humidity of the room and give it back later, when the level of humidity decreases. This quality helps to assure that moisture does not accumulate into the construction behind the boards. ISOPLAAT products are the following: insulation boards, wind barrier boards (including ones with tongue and groove joints) and underlay. Insulation boards are designed to offer additional insulation, sound muting and increase in constructional rigidity. Wind barrier boards are used as a wind blocking, insulating and stiffening elements in constructions of exterior walls, ceilings and roofs. Wind barrier boards may also be used as supporting elements for thermal insulation layers. Also available: 25 mm wind barrier boards with tongue and groove joints. Roof boards are fibreboards that have tongue and groove joints at the edges of the board. Roof boards are used primarily in roof constructions as sound and thermal insulation elements and against condensation. They may also be used as wind barrier elements and additional insulation material for exterior walls. Underlay is used in floor construction as intermediate layer between parquet and subfloor. Underlay gives the floor good thermal resistance, they mute the sounds of footsteps and level the minor unevenness of the underlay.